This post is a bit different from the others. It’s about a man and a plan, maybe actually about the ‘best laid plans’ – the sort that ‘gang aft agley’. The man was the Reverend Charles Jenkinson. His plan was to rehouse the slum dwellers of Leeds. It ended with the first rent strike directed against a local authority and a Labour-controlled one at that. Charles Jenkinson was born in 1887, the son of a London docker. He left school at 14 but his native intelligence and the diligence that characterised his life secured him work as a bookkeeper. He was also a chorister and Sunday school teacher at St Stephen’s, Poplar – and a socialist: a member of the Church Socialist League and, from 1908, the Independent Labour Party. These strands coalesced in 1909 when Conrad Noel – the notorious ‘Red Vicar’ – was appointed to office in Thaxted, Essex. Noel was a prominent Christian Socialist. Jenkinson became his lay secretary. He then took holy orders and was ordained curate in Barking in 1923. But Jenkinson’s zeal demanded a tougher challenge. Having requested ‘the hardest parish in the country’, he was appointed vicar of Holbeck in Leeds in 1927. Bear with me. Jenkinson has his blue plaque now but these stories should be remembered. 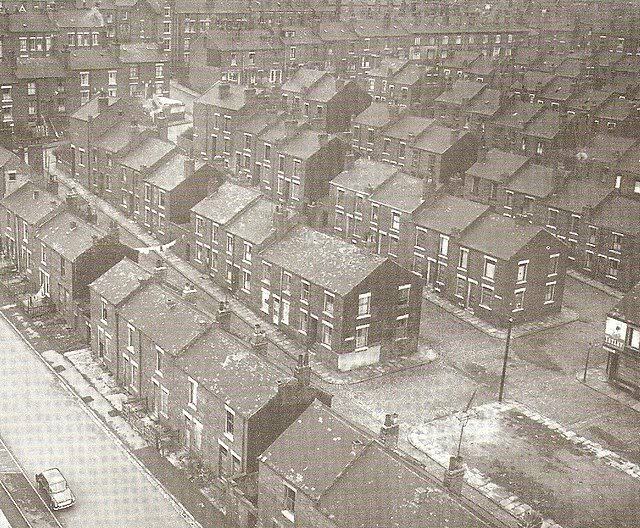 In 1914, there were 78,000 back-to-back houses in Leeds – 71 per cent of the housing stock. The worst of these – 35,000 – were built in long rows or enclosed courts and 14,000 had just two rooms. 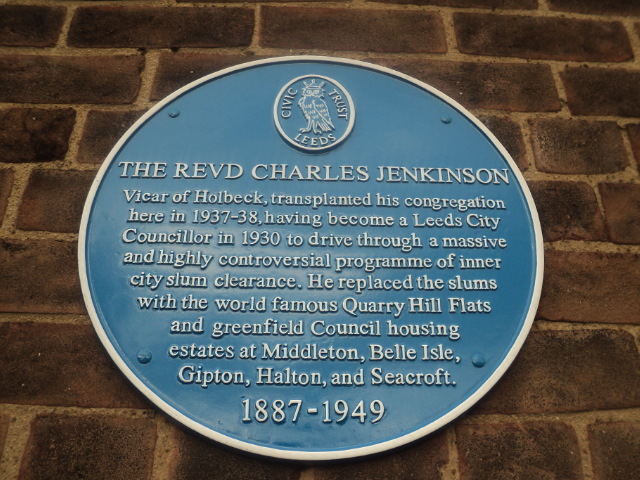 Holbeck was among the poorest areas and an insult to Jenkinson’s humanity and ideals. For all the thousands of new houses erected the slum population has not diminished by so much as one family. Jenkinson was elected a Labour councillor in 1930 and immediately pushed for drastic action. 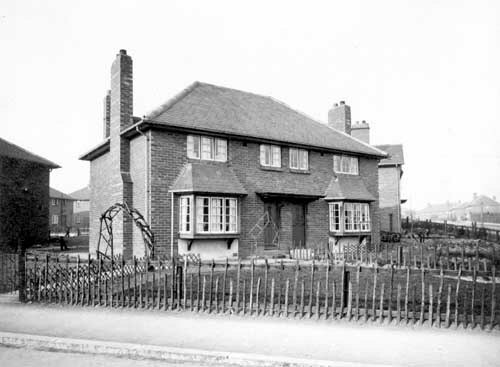 Housing became the major issue of local politics and Labour’s radicalism, driven by Jenkinson’s passion, secured it a majority in 1933. We’ve examined one major element of that housing programme – the Quarry Hill flats – in another post. The question here is ‘could Leeds rehouse its poorest inhabitants?’ This was something which social housing to date had manifestly failed to do. Every family will be offered the dwelling appropriate to its needs …at whatever rent it can afford to pay if it cannot pay the proper rent of the accommodation. In the early thirties, the average weekly rent of Leeds council housing stood at 8s 2d (41p) – the rent on a three-bedroom parlour house could be as high as 12s 6d (62.5p). In contrast, back-to-back rents were generally below 5s (25p). Moreover, it had been Council policy, prior to Labour’s victory, that no family on public assistance be granted the tenancy of a council dwelling larger than a two-bedroom flat. 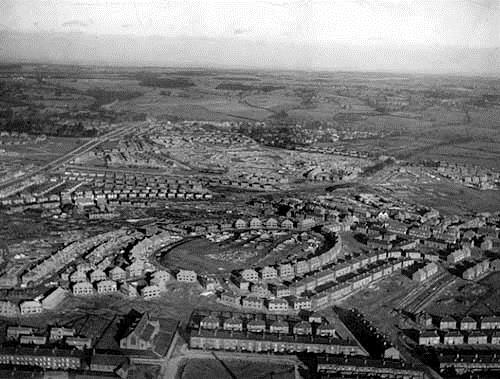 New housing on the Middleton Estate © Leeds Library and Information Service: the type of housing typically out of reach of the slum dwellers. We shall not begin to talk about rent until there is sufficient money in the household to provide that family with the necessities of life. Conversely, those who could pay the full economic rent were expected to do so. Translated from policy to practicalities, the scheme – which affected 5750 tenants – required wide-ranging means testing and increased officialdom. Weekly incomes had to be submitted to council scrutiny in the tenants’ ‘Grey Book‘; 28 additional rent collectors had to be employed. Such intrusive means testing had unavoidable echoes of the reviled Public Assistance Committees so active in this period of the Great Depression. It also meant, of course, that a significant minority of council tenants would pay increased rents, sometimes by as much as 5 shillings a week. The Federation carried out a door to door ballot of nine of the city’s eleven estates. Of a total of 2,284 returned ballots, 1,667 voted against differential rents. The scheme had caused immense division. Financially, there were clear winners and losers and differential rents set better-off tenants against the worse-off. One opponent complained of the ‘constant bickering and…general feeling of unneighbourliness’ which had resulted. In the event only some 400 to 500 tenants withheld rent. And when the Council responded firmly – sending out notices to quit by registered mail – the resistance collapsed. The ‘strike’ lasted barely two weeks. A later legal challenge to the scheme also failed. But Labour paid a heavier political price. It lost control of the Council in 1935 and did not win a majority again until 1945. Jenkinson himself lost his seat in 1936 and did not return to the council until 1943. What had his zeal – many talked of high-handedness and intolerance – achieved? A record of rehousing slum-dwellers unequalled in the country: 10,000 back to backs were demolished in four years and the brief Labour administration built 9,000 new homes. Of displaced slum-dwellers, 85 per cent were rehoused in council accommodation. More revolutionary than the bricks and mortar were the finances. By October 1935, over one third of tenants paid no more than 5 shillings a week rent – the same amount as paid by those in even the worst back-to-backs. Eleven per cent of tenants paid no rent at all. Only 41 per cent of tenants paid the full economic rent. For Jenkinson, this must have seemed to fulfil a central tenet of his socialist principles: ‘From each according to his ability, to each according to his needs’. Practically, it tackled and solved one of the most serious deficiencies of early council housing – a level of rents unaffordable to those who needed it most. He had rehoused the slum dwellers. The most graphic demonstration of this revolution was the decanting of his own Holbeck congregation: Jenkinson became the vicar of a new church in the new council estate of Belle Isle. His old church and the slums that surrounded it were demolished. St John and St Barnabas, Belle Isle. 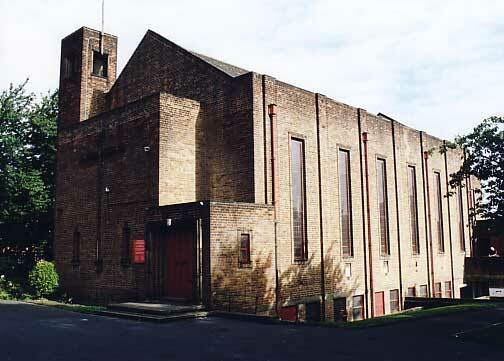 Jenkinson’s new church, built 1938. On the other hand, the real context of the scheme was not some socialist ideal but actually existing capitalism. Differential rents were, in practice, a form of welfare provision. it is extremely undesirable that there should be any confinement of local authorities…For important sociological reasons they should be allowed to extend their housing activities over the widest possible range. But his focus on rehousing the poorest and the means employed did create a dynamic in social housing – the potential, at least, that it would come to be seen as housing of last resort for the least well-off. The ideal of the council estate as a mixed community had been eroded – as it would be far more drastically from the 1980s. The interwar reality of council estates as a site of upward mobility for the ‘respectable’ working class was weakened. Could it have been different? Even to ask the question seems somehow to imply that Labour reformers could have ignored the poor. Maybe the easiest thing to say is simply that there were no good options. Where resources were scarce, Jenkinson’s determination to do the bold, right thing for the poorest inevitably impacted on those just a little up the ladder. We wrestle with dilemma today as Charles Jenkinson and his Labour colleagues did in the 1930s. (1) Stephen Savage, biography of Jenkinson, Forward Plus, Summer 2012. Robert Finnigan’s chapter on Leeds in M.J. Daunton, Councillors and Tenants: Local Authority Housing in England, 1919-1939 is very useful. Quintin Bradley’s The birth of the council tenants movement: a study of the 1934 Leeds rent strike provides a thoroughly researched and powerful perspective on the strike and its context. Several details and quotes above are taken from this source. Leodis – the photographic archive of the Leeds Library and Information Service – provides many further images and much supporting detail. A full biography of Jenkinson by Howard Hagger Hammerton, This Turbulent Priest, was published in 1952. 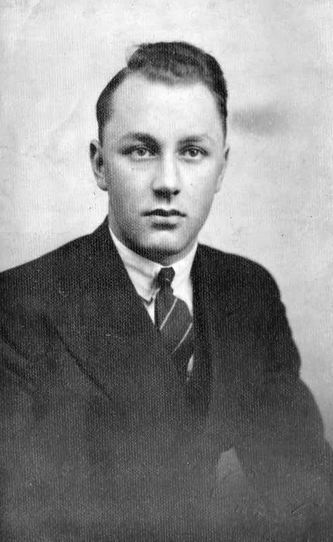 In 1947, Jenkinson became leader of the Leeds Labour Group as well as a member of the national government’s Central Housing Advisory Committee. In October 1948 he was appointed chairman of the Stevenage New Town Development Corporation. He died nine months later of inoperable cancer. The Differential Rent Scheme was maintained by the incoming Conservative administration with few modifications.